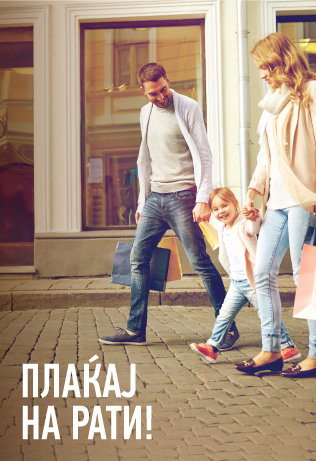 Pay and Save while using Halkbank's Credit Cards. Life becomes even easier with payment's on installment avaible on our credit card's and presented to you in order all your wishes to become true. Master Card Pay Pass will make your day even faster by its contribution for your time consuming during the payment's you will make, No PIN required, No signature required, No waiting for transaction approval, just a touch on the POS terminal will be enough. All credit cards provide you an opportunity to spend the available funds approved on your revolving credit limit using the benefits and giving you an easy access to your funds 24/7. You can apply for your Credit Card through our nearest branch by fullfilling the application. Collection and usage of bonus points – collect bonus points in the amount of 0.5% on all transactions made with the credit cards at Halkbanks POS terminal network and use the same for making payments on Halkbanks POS terminal network. If you want to be informed about every transaction through SMS please fullfill and send the Application for SMS Info to the nearest Branch. To get a credit card you need to contact the Branch in your area where our colleagues will check your credit worthiness and give you the appropriate documentation for which you can apply for a credit card. What documents are required to apply for a credit card? How can I use my Master Card Pay Pass for contactless payments? Look for the MasterCard Paypass logo. Than just tap your card on the universal contactless symbol on the reader to checkout. When you see green light and hear the beep, your payment has been accepted. There’s no need to sign enter a PIN.